When it comes to health technology, the term “best” is a lot more important than it is in other industries. While the best smartphone may get solid battery life and have a crystal clear screen, the best hearing aids brands could have a significant impact on your quality of life, and can only be labeled as such if they are truly reliable, effective and safe companies to work with. Resound, Signia, Phonak, Unitron, Starkey, Widex, and Oticon are widely considered to be the seven best hearing aids brands on the market today. These brands consistently produce leading devices that are easy-to-use, widely compatible with other technology, and comfortable for the wearer. Below, you’ll find thorough descriptions of all the features, costs, pros, and cons of the hearing aids developed by these brands, to help you make the right decision for yourself or a loved one. Remember though, the best way to find the right hearing aid for your needs is to speak with a specialist, because nothing is more important than your health. What Makes a Trusted Hearing Aid Brand? The problem with shopping around for a hearing aid is that you aren’t an expert, and unless your best friend is a doctor, you’re going to have trouble understanding some of the basics. Fortunately, audiologists and hearing aid specialists are vocal about their support of specific brands, and taking their word for it is always a good idea. While picking a well-known trusted brand will give you peace of mind, there’s no single brand that’s best for everyone. Weighing your options and evaluating each of these brands will help make sure you end up with a device that is perfect for your particular needs. As one of several Danish hearing aid manufacturers on this list, it’s safe to say the Scandinavian country knows its way around health technology, and ReSound is no different. With almost 80 years of experience under their belt, there’s no denying ReSound is one of the most well-recognized hearing aid brands out there. ReSound are the innovative developers of hearing aid tech breakthroughs like Wide Dynamic Range Compression and Digital Feedback Suppression, which has improved the industry as a whole, as well as their catalog of products. Their LiNX lineup, as well as their more affordable Enya models, are known for their impressive sound quality. Plus, with the new ReSound 3D platform (available on iOS and Android) connecting, monitoring, and maintaining your hearing aids is easier than ever. 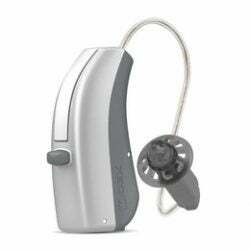 Signia has quickly become synonymous with quality hearing aids. Formerly Siemens, their presence in the health tech industry has been substantial since their founding in 1847, primarily in the development of the first behind-the-ear hearing device in 1959. Since being sold to Sivantos and launching the Signia brand in 2016, the brand has produced nothing but solid, reliable hearing aids for those in need. Based in Singapore, Sivantos has regularly been a pioneer in the hearing aid industry, developing the first waterproof digital hearing aid, as well as a number of other firsts in their storied history. They offer dozens of hearing aids for in-the-ear, behind-the-ear, and everything in between, and even have two different apps, the myHearing and myControl apps, to put the power in your hands. Recently, Sivantos and Widex merged to become one large company, under the name WS Audiology. The news is recent, so no big changes have taken affect, but keep an eye on this powerhouse team of hearing aid companies, now headquartered in Lynge, Denmark and Singapore. When it comes to hearing aid brands, you can’t get much bigger than Phonak, as their devices are found in more than 100 countries worldwide. This Switzerland-based company is part of the Sonova Group and has been in the hearing aid business for more than 65 years. Their devices are known to be sturdy, reliable pieces of technology that last a long time. 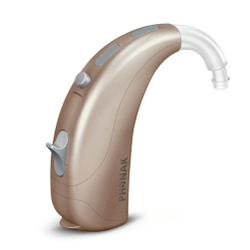 As for the specific devices, Phonak has a number of model lineups, including the Vitro, Bolero, and Audeo, all based on the type of hearing aids they are (ITE, BTE, and RIC/RITE, respectively). Recently, they launched a Marvel lineup that is equipped with Made for iPhone technology, making it easy to check battery life, adjust audio, and connect via Bluetooth. Phonak also lead the way in the Android hearing aids market, with their Audeo Marvel and Audeo B-Direct hearing aids being among the first available for Android users that don’t require an intermediary streamer device to connect. Unitron is the lesser-known hearing aid brand of the two owned by Sonova Group, but they have a reputation as one of the best because of their attention to their customers. With a focus on partnerships within the health tech community, Unitron offers unmatched customer support for the hearing impaired, which makes them a great choice for anyone new to the hearing aid industry. Based out of Ontario, Canada, Unitron is dedicated to providing their customers with the best devices, resources, and services. In that vain, they offer a very flexible trial period that allows users to test out a variety of devices so they can find exactly what they need before making a purchase. Being one of the best hearing aid brands comes with an expectation of innovation, and Starkey delivers. They’re committed to being on the cutting edge of hearing aid technology, to bring users the most comprehensive hearing experience. They developed the one of the first in-the-canal hearing aids, notably worn by Ronald Reagan in 1983 and bringing awareness to hearing loss prevalence. As the only US-based company on this list, Starkey has provided more than one million devices worldwide since their founding in 1967. They boast that their devices are “designed for your life,” which is why they offer a wide range of customizable sizes to make sure you find the perfect fit for your ear. 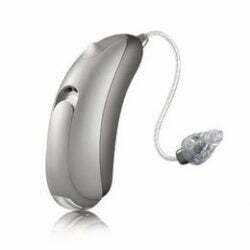 Widex is another one of those hearing aid brands based in Denmark and the quality of their devices reflects that. Famous for some of the best audio quality you can find and with devices that are built to last, Widex is widely considered the gold standard for sound and reliability in the hearing aid industry. Widex devices are also designed to fit perfectly in your ear. They achieve this by using 3D laser modeling, which will create a customized hearing aid specifically designed for your ear. Widex is an innovative brand in that they don’t follow trends. For one, most of their devices aren’t Bluetooth compatible, but rather connect through their own technology, WidexLink. They claim it’s one of the reasons their devices provide such good sound, and with such a good reputation, that’s hard to argue with. As we mentioned above, Widex and Sivantos have recently entered into a merger, creating WS Audiology, a top-three global competitor in 125 markets. The effects of this news are still developing, so watch out for more hearing aid changes. More than 100 years ago, Oticon become Denmark’s first hearing aid distributor, and since then, they’ve become a powerhouse in the global industry. Founded in 1904, Oticon has recently become synonymous with wireless hearing aid technology that connects to your devices and makes life easier. They offer rechargeable options that do away with annoying batteries and provide Internet of Things enabled devices to make connecting simple for everyone. With a brand-wide promise to put their customers first, Oticon is always working to make hearing aid technology better, which is evident from their BrainHearing initiative. This technology focuses on the negative cognitive effects of hearing loss and attempts to remedy them by creating natural sound pictures and providing reasonable signal-to-noise ratios. Zip Hearing: If you’re looking for a super affordable means of getting set up with a hearing aid, Zip Hearing can help. 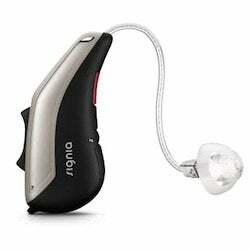 While not a specific hearing aid brand, this network will let you purchase hearing aids from these tops brands for huge discounts. 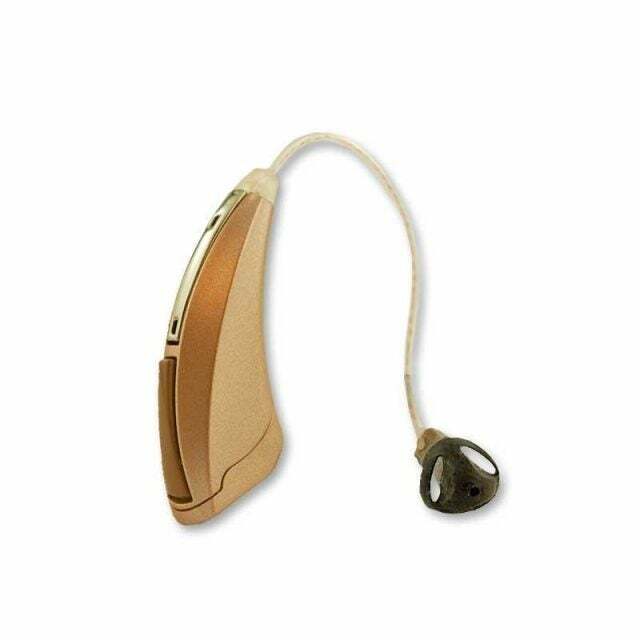 Miracle-Ear: While not one of the best brands for hearing aids due to the high price and difficulty of finding a local store, Miracle-Ear is definitely one of the most well-known, specifically in the US. They offer free consultations at their sparse franchised locations all around the country, and offer 30-day money back guarantees. Embrace Hearing: While this newer company didn’t make the main list because of their inexperience, Embrace Hearing has been providing well-made devices since 2011. Prices are notably lower as well, so they’re worth taking a look if you’re short on cash. If you don’t think the seven best hearing aids brands above fit your particular needs, ask a specialist about these brands. 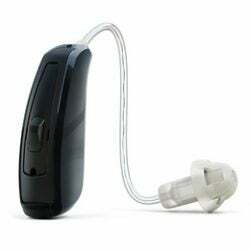 You might find they offer something the others don’t, which could make all the difference for your hearing. Now that you know everything you can about the best hearing aids brands, you can make a clear decision for yourself. However, you’re not just going to stroll into a pharmacy and pick up a device, especially without seeing a doctor first. You’ll need to have your hearing aid fitted and tailored to your specific hearing needs. By clicking the link below, you can set up a consultation with a professional to find out more about getting hearing aids sorted.